You will love this gorgeous 2-story home overlooking holes 3 and 4 of Chillicothe Country Club Golf Course w/amazing views and privacy. This contemporary style home has soaring vaulted ceilings overflowing w/natural sunlight and clean lines. Plenty of space for entertaining, 4428 sq ft of living space and finished basement adding 1970 sq ft. Newly updated gourmet kitchen w/granite countertops, stainless steel appliances, pantry plus storage room. Open floor plan w/great room, hardwood flooring, gas fireplace, formal dining room and living room. Four bedrooms up and fifth bedroom/den at entry level. Four full baths and second floor laundry. 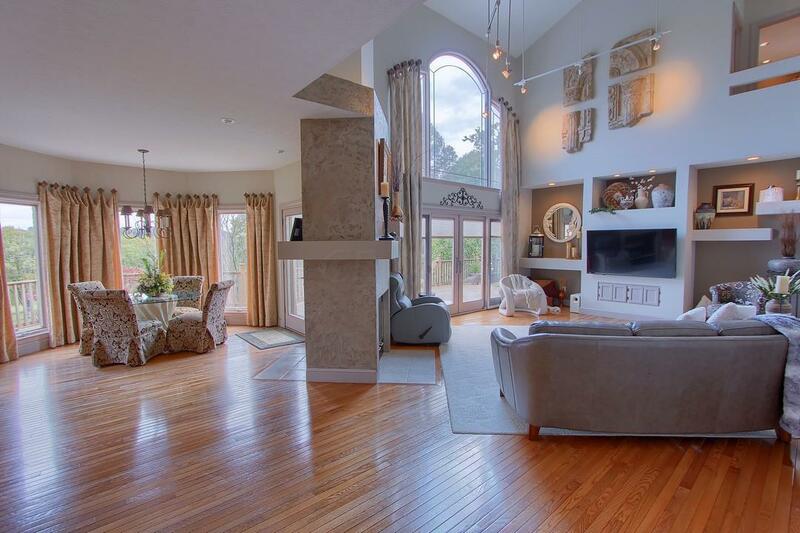 Luxurious master suite w/fireplace, sitting area, huge closet and master bath. Basement/rec room has dining space, sitting area and wet bar. MUST SEE!